Cities and wilderness areas are demarcated for humans and wildlife respectively. Despite this division, wildlife has made its way into urban areas –sometimes with humans as agent, other times due to natural forces, or even by chance. Schools and parks have enclosures that keep rabbits and hamsters for children to exercise care. 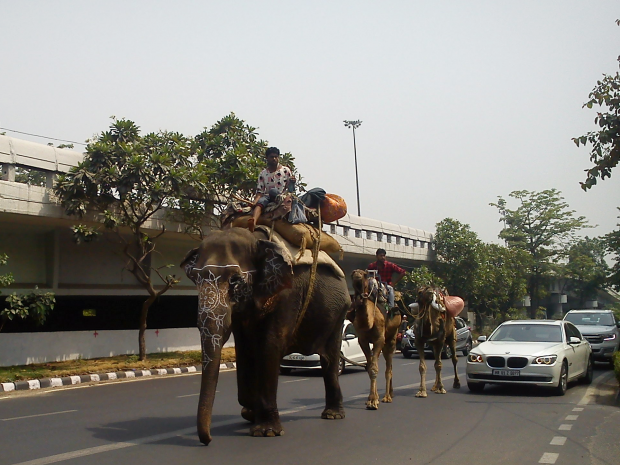 Elephants, horses and camels are occasionally found as draught animals or joy rides in certain Indian cities. Meanwhile, disasters and deforestation in natural areas often overcome the urban-wild dichotomy, forcing animals to stray into human settlements. 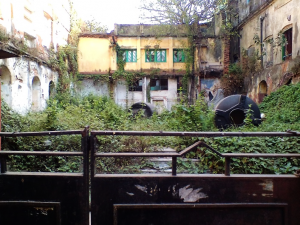 Furthermore, wild growth can appear in vacant lots and abandoned buildings as well. Why then must cities be viewed as any different from wilderness areas? The urban can be seen to have several … proponents [of] wilderness –but are yet not deemed to be ‘wild’. Urban wild-scape is typically characterised by small pockets, with bursts of landscaping that may well be limited to shrubbery and grass in densely built areas. Wild growth in urban areas appears in small pockets along roadsides and un-kept backyards and megafauna are a rare sight. Although, several Indian cities have sightings of deer, elephants, camels and leopards, this is by no means a norm. But while walking past a pocket of typical roadside wilderness, the rustle in the leaves caused by moving snakes and rodents can distinctly be heard. 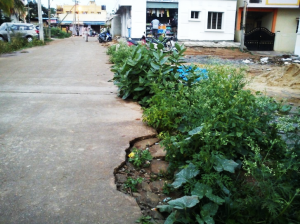 A typical pocket alongside a road that has cavities like drains can also become a refuge for small mammals such as dogs and mongooses. While a passer-by does appreciate their presence, such small pockets often allow only edge habitats which are highly accessible by humans as opposed to core habitats which naturally resist human entry. 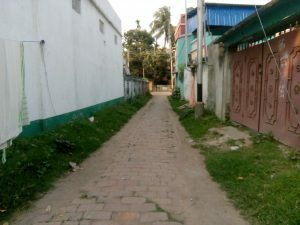 Thus, the urban setting offers a fragmented landscape with smaller animals as opposed to the traditional wilderness areas which have denser, more complete habitats. Secondly, sites like vacant lots and abandoned buildings can at any moment, be put to (re)construction. Thus it is not surprising if one tends to view their use value as “for the humans”. The wild growth and life in these regions are “not supposed to be there”. Although there exist several vacant or dilapidated properties that are home to a range of wild animals and plants, one does not simply deem them as wilderness – for it can simply and even legally, be removed at any time. There is clearly a greater sense of control humans have within urban areas as opposed to national parks or protected areas where human intervention is even restricted by law. Thirdly, even when there is wild natural growth in fragmented small pockets, they are not always enough to become habitats for even smaller animals. Thereby they are bereaved of any kind of motion. The dead landscape can be perceived rather easily: the leaves do not move and the wind does not blow. Comparing this to micro movements in natural settings like that of a butterfly over flowers, squirrels nibbling on nuts, or even birds pecking on worms, I deduce, that without movements that entice the human mind it is often assumed that “life is missing from the landscape”. As the urban fauna that strives to avoid human contact is seldom experienced lucidly, one is less likely to perceive the spaces any differently in the absence of these creatures. Regardless of the scale, being able to sight wildlife is important for values of wonderment to be associated with the landscape. It would be fair to say that wildlife exists in cities, but not the character of wilderness. The latter is more associated with perception governed by aspects like size, form, potential and dynamism. The absence of ‘wilderness’ can stop people from viewing urban areas as a home for wildlife. If cities continue to be thought of as “for the humans”, even while animals are being forced to move into cities and adapt to its unwelcome conditions –their already threatened chances of survival are set to be diminished further. Upholding the urban and the wild as separate realms – where one has to be kept away from the other – is limiting us from thinking of solutions through which natural settings can be made to co-exist in urban areas. Alternatively, if cities can be programmed with the character of wilderness, the urban can draw benefits of wonderment, motion, colour and interaction. Such will encourage the mind-set of co-existence and encourage addressing the concerns of wildlife within cities in an enthusiastic manner. The character of wilderness can be injected into cities by increasing the scale of wild pockets in cities, enhancing visual experiences of lifeforms and by creating a sense of permanence through acknowledging spaces for wilderness in urban areas.